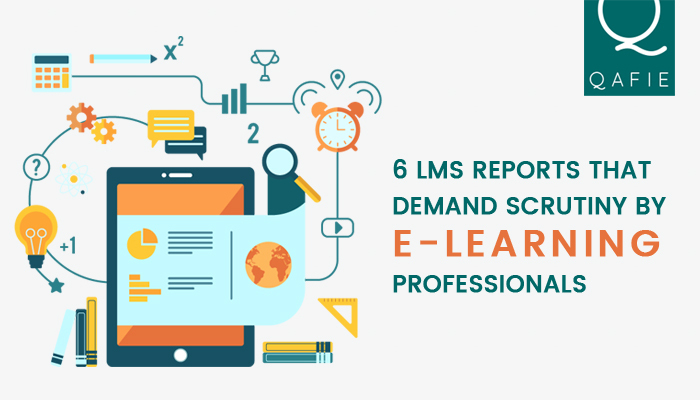 An LMS always comes with a handful of reporting features that when used judiciously would be able to bring about a change in the learning platform. E-learning is one of the greatest inventions, where you get the attention of each and every learner without any time or place barrier. When you choose a path it is always advisable to keep on measuring the distance that you have successfully covered and are yet to cover. This gives you an idea as to what and where the changes are required in order to make the journey even more convincing and satiating in nature. Learning Management System too needs an instrument to measure the progress of the online training program. One such desirable instrument would be the reports that need proper scrutinization in order to know what and how the progress is taking place. Let me take you through some important LMS reports that are sure to judge the effectiveness of your training program. The progress reports are a great help for all the management to keep a check on their employee's training levels. Checking the level of progress always makes sure that you are on the right track, giving you an insight of how far the learner has come and how much more to go. By checking these reports you not only get to assess your employee's performance but also keep a track on the level of improvement that they are making. The LMS reports give a detailed description of how actively are the employees involved in the online training progress that they are carrying out. Keep a track of all these reports as the management will come to know how frequently they are taking into consideration the training programs and activities. This will give an idea as to how interesting the training programs are and to what extent they need improvement. The online assessment results would serve as the primary data of how your employees are performing. One gets to know how well the employee is equipped with knowledge and how much potential does he have when it comes to grasping new things. These reports constantly measures the level of knowledge and what improvements are being made. A course review report brings to light the level of interest that the employees have in a particular course. This would throw some light on how the courses are being accepted to bring about a huge change in the society. Moreover, a collective review of these reports would be able to draft the attentiveness that these employees have towards the program. Time is one of the precious things that decides who will stay and how long will they take to bring about a change in the society. An organization is a fruitful place where time is money. With time log report one gets to know how long the employees are taking to complete the training programs and accordingly bring about changes so as to make the programs even more appealing. Feedbacks, suggestions and survey reports show the true and fair view of the training programs that are meant to bring about a change in the quality of the programs. The level of satisfaction plays an important role in determining the fate of the online programs. Learning Management System has its own set of tools and equipments to measure its sustainability and reports are one among them. Reports are primarily intended to justify the progress of an activity on a large scale. Learning Management System very well needs to be scrutinized to understand the level of progress that is being accomplished by this gigantic System which manages to bring each and every person on the same page without any time or place barrier. 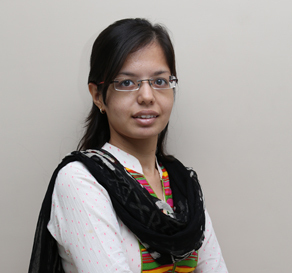 Monika Jain is an enthusiastic Business Development Executive who takes care of the social media marketing bit, new business acquisition and client relationship management with a flair. She is extremely competitive when it comes to Business and believes bringing business on the table is not all that matters but giving a quality product along with client satisfaction is what brings more business. Why Is Personalized Learning Important In E-learning?